Railway Raju(Sree Vishnu) is an upcoming cricketer who gets embroiled in a deadly case of naxals because of his sister. 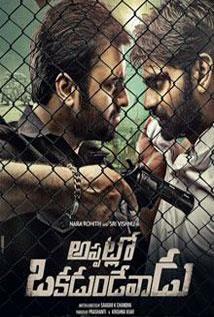 The case is handled by a fierce police officer called Imtiaz Ali(Nara Rohit) who troubles Railway Raju big time. In order to escape from all these tricky situations, Railway Raju unexpectedly commits a huge crime which lands him in jail. There, he decides upon himself to take revenge on Imtiaz Ali at any cost. Rest of the story is as to how Railway Raju encounters the mighty Imtiaz Ali.